A gap year can involve working in NZ, working overseas, a student study exchange, travelling or a combination of these things, for the year before starting tertiary study or an apprenticeship. Gap years can help young people learn more about themselves and other people, experience different cultures, explore career options, decide on future plans, and become more employable. For this to happen it is important to have a plan for your gap year. Visit Careers Central, Gap Year, for further information or click on the links below for more ideas. Below are some of the organisations that offer gap year experiences. Opportunities to find out more will be advertised on the careers notice board and in the student news sheet as they arise. 3-12 month international gap year opportunities for 17-25 year olds. 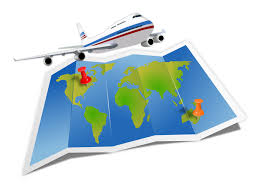 12 destinations available.What can I do? Opportunities include School Assistant, Outdoor Camp Assistant. English Tutor, Teaching, Community Work, Projects. Are you enthusiastic, friendly and flexible? Do you enjoy the outdoors, sport and working with children? Do you want to skip the NZ winter? This could be an option for you, check out the website, or attend an information session, for high demand skills and experience. Work at summer camps in America. Camp counselor roles such as: water sports, outdoor activities, land sports, horse riding, lifeguarding, arts & crafts, performance and much more! Student exchanges, volunteer experiences, international students. See the world, make a difference! One stop shop for student exchanges, overseas volunteer experiences (Go Kiwi Go), international students, (Study Your Way) and the Ministry of Education Language Immersion Awards (LIA).AFS provides a wraparound service, before, during and after your experience. They also provide professional development with a Global Competence Certificate (GCC).With no application fees, excellent pre-departure and return orientation, and a focus on intercultural learning, AFS provides life changing travel opportunities in a safe, supported environment. Training provided at home prior to placement.. Your Education is a specialised education agency that offers exciting high school exchange opportunities in over 15 countries around the world. With over a decade of experience in the exchange industry we know what is required to ensure a positive and memorable exchange for our students. Unlike some of the bigger companies offering exchanges, we are small enough to offer a personalised support service. Students learn a new language, discover another culture, and truly become global citizens. 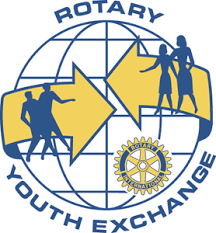 Exchanges for students ages 15-19 are sponsored by Rotary clubs in more than 100 countries. See the Careers Advisers in T block or talk to a Dean to find out more and to link up with the local Rotary club.